Doomed Cruise Ship was Setting for "Film Socialisme"
Remember the cruise ship from Jean-Luc Godard's Film Socialisme? That glittering bastion of excess and capitalist greed? 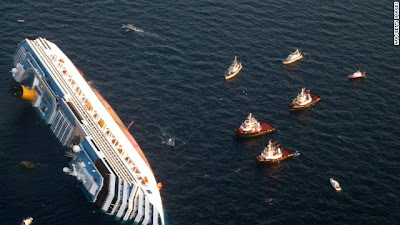 It turns out that ship was the Costa Concordia, which ran aground and sank off the coast of Italy Friday evening. A scene from Godard's FILM SOCIALISME. 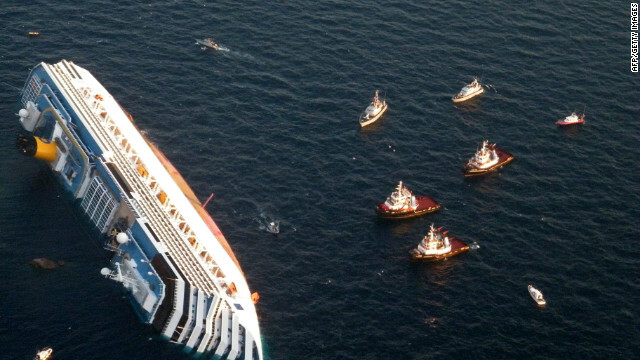 The Concordia sinks in the Mediterranean. The story has gotten a lot of press over the weekend in an age when such sea disasters seem unthinkable. With the 100th anniversary of the sinking of the Titanic fast approaching, the story seems all the more eerie. 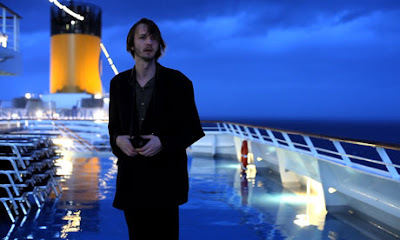 I wonder what Godard would say about the strange symbolism of the ship he used as a garish tourist trap meeting such a tragic end?